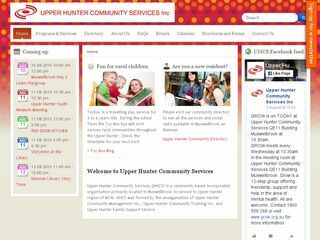 UHCS provide quality services that promote the well-being of individuals, families and communities. 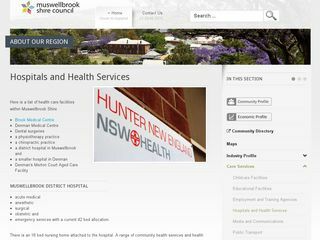 A list of health care facilities within Muswellbrook Shire, including hospitals. 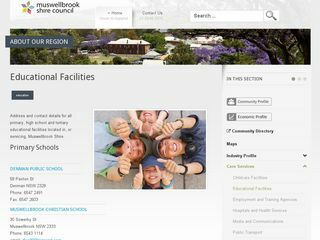 Details of primary, high school and tertiary educational facilities located in, or servicing, Muswellbrook Shire. 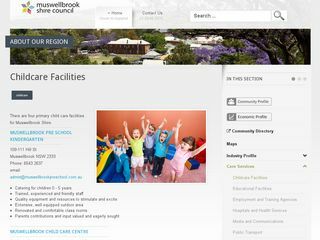 There are four primary child care facilities for Muswellbrook Shire. 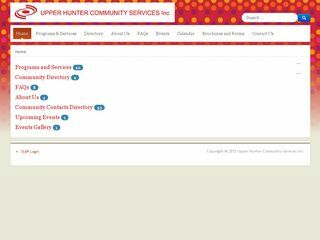 Churches and Religious Organisations in Muswellbrook and surrounds. 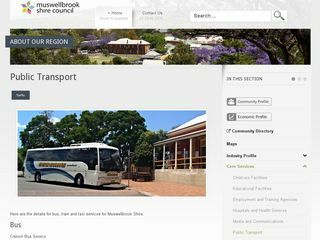 Contact details for bus, train and taxi services for Muswellbrook Shire.